Kari & Co. is a brand that creates and designs accessories that show passion for movement. Starting with yoga-inspired canvas tote bags, we aim to come up with a wide range of Philippine-made accessories that will encourage and inspire people with their practice. Now available at Yogi Fair. 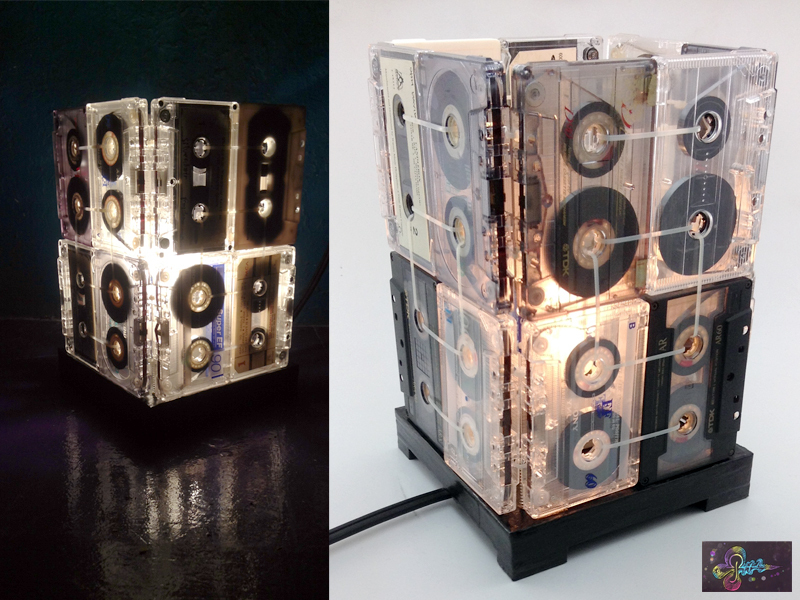 These retro lamps by Raqsified will surely put you on a “throwback thursday” mood! Place it anywhere in your home and watch it become an interesting conversation piece with friends and visitors as you relive the days when cassette tapes ruled and pencils were the fastest rewinding tool!